Select trim. CARFAX 1-Owner, ONLY 34,688 Miles! Moonroof, Nav System, Heated Leather Seats, Third Row Seat, Quad Bucket Seats, Turbo Charged Engine, Aluminum Wheels, WHEELS: 20 ULTRA BRITE MACHINED ALUM... ENGINE: 3.5L V6 ECOBOOST, Hitch. READ MORE! Leather Seats, Third Row Seat, Navigation, Sunroof, Quad Bucket Seats, Power Liftgate, Rear Air, Heated Driver Seat, Heated Rear Seat, Cooled Driver Seat, Back-Up Camera, Running Boards, Premium Sound System, Satellite Radio, iPod/MP3 Input. MP3 Player, Rear Seat Audio Controls, Remote Trunk Release, Keyless Entry, Privacy Glass. 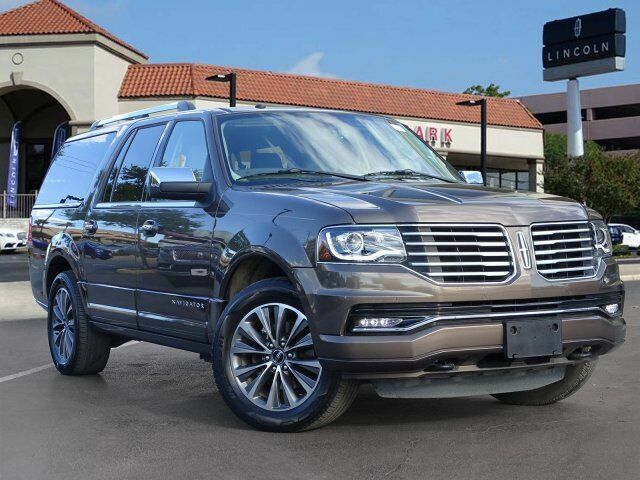 Thanks to its independent rear suspension, the Navigator has an excellent ride quality. and shows surprising poise around turns for such a big vehicle. Alongside competitors like the Escalade and GL-Class, the Lincoln Navigator is arguably the best-handling, and truly feels smaller than it is. -Edmunds.com.